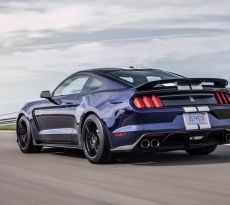 We first brought you news that the 2018 Shelby GT350 is a go, and that the design will be a carryover from the 2015-17 Mustang body style, but with a few sources hinting that GT350 production may continue through 2020, it’s worth looking at how the revised 2018 Mustang design could be adapted for a 2019-20 Shelby GT350. 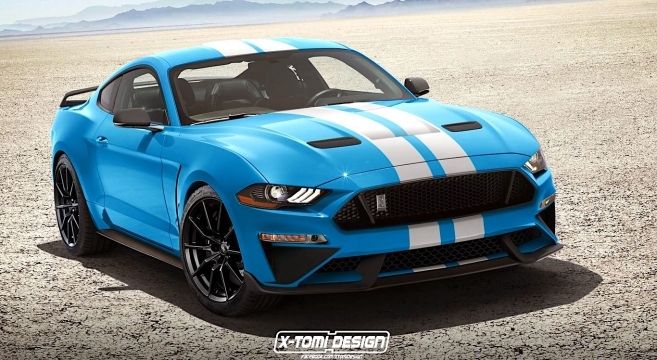 These artist renderings by X-Tomi and M6G member chrisvr6 provide a hypothetical preview of the GT350 in Grabber Blue and Orange Fury, lending visual proof that the 2018 front fascia revisions blend beautifully with the GT350’s grille fangs, aero effects, larger wheels and the vehicle’s lower, hunkered stance. 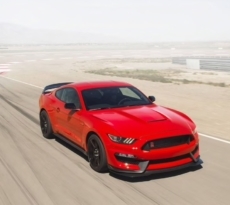 Not only do these images get us eager to see future Mustang variants based on the newly refreshed design, but we’re also excited for the aftermarket to unlock the true potential of the 2018-2020 Mustang. 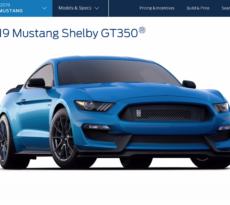 Check out the Shelby GT350 renderings in the 2018 body style in the forums.